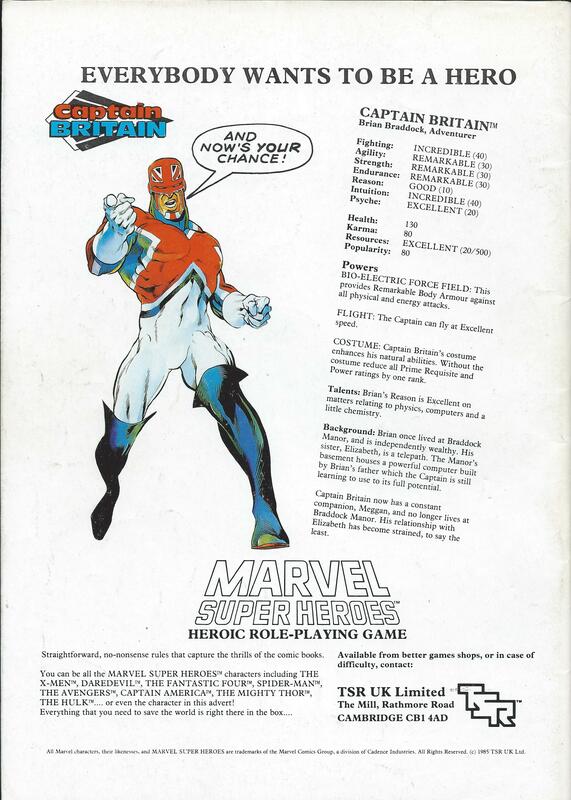 A Captain Britain RPG gallery | The Captain Britain fans' page and blog. Ever since I was introduced to the RPG game Golden Heroes I often imagined myself taking to the city streets and skies to bring justice to evil doers as Captain Britain. 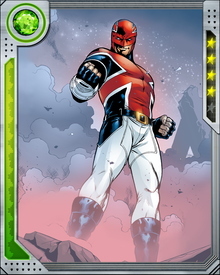 Sadly I never got the chance to role play as my favorite hero but a lot of other people did, so here is a gallery of Captain Britain and some look-a-likes that people have RPG’d with over the years. Alastair Savage kindly provide the above scan of an advert for Marvel Super Heroes from White Dwarf magazine dated 1985. From the Marvel Heroic Role playing game another version of Cap. 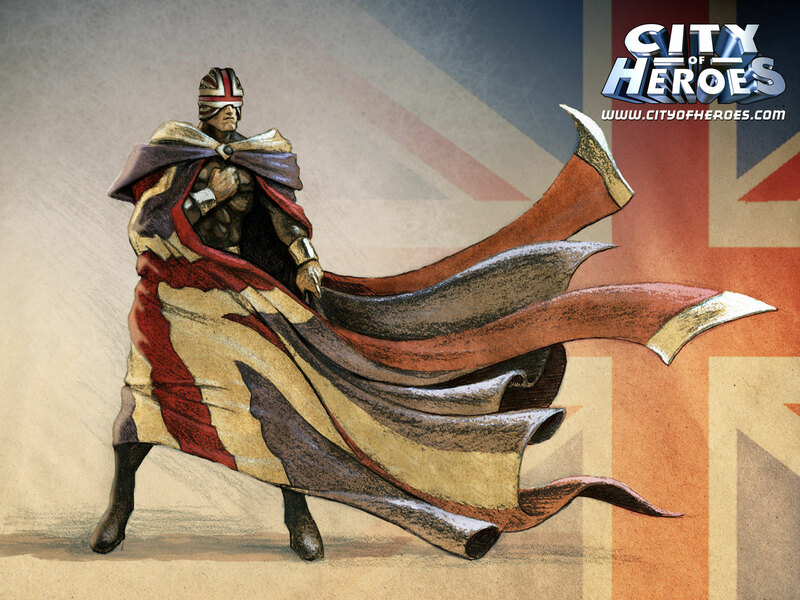 From the now closed MMO City of Heroes , Hero 1, their version of Captain Britain. 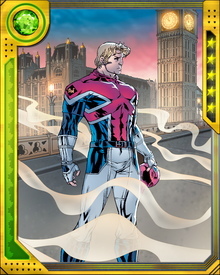 From Marvel War of Heroes two versions of Captain Britain, with and without Excalibur. Another Marvel Super Heroes Captain Britain. From Alastair Savage again another advert scanned from White Dwarf magazine of Captain Britain’s Excalibur team-mate Nightcrawler. My thanks to Alastair for his scans which inspired today’s post. Why not check out his blog here. 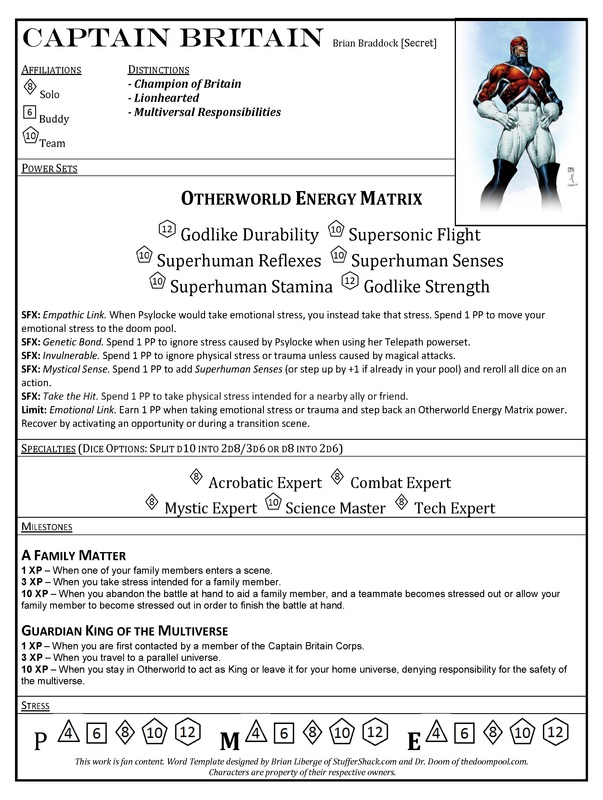 This entry was posted in Merchandise and tagged Alastair Savage, Captain Britain, Marvel Super Heroes, RPG game Golden Heroes, White Dwarf magazine by Richard. Bookmark the permalink. Thanks for the link! 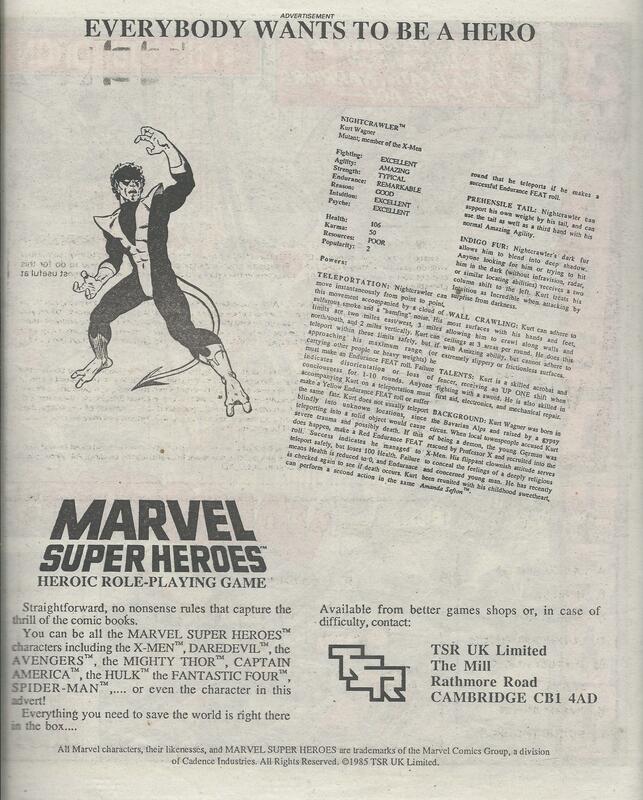 I did play the Marvel super-heroes RPG when it first came out and I liked it a lot, although it always felt easier making up adventures than using the official modules. There wasn’t one with Captain Britain in, I don’t think, unless he cropped up in Secret Wars. I played Golden Heroes and some DC role play where I attempted to game as Batman 66 – not my finest hour. Thanks for the scans and inspiring the post.